On Jan. 20, about a dozen protesters gathered outside of Metropolitan Correctional Center (MCC) in Manhattan to stand in solidarity with the hunger strikers there. Inmates at the federal prison have been on a hunger strike since Jan. 14 after family visits were cancelled for the second week in a row because of staffing shortages due to the government shutdown. MCC houses about 800 prisoners, many of whom are defendants awaiting trial. News of the strike came from federal defense lawyers representing inmates at MCC. There is little information about the strike or how many prisoners are participating. One federal defense lawyer told the New York Times on Jan. 14 that her client is participating in the strike and told her his unit had refused multiple meals. The government shutdown has also had an impact on the dispensing of prescription drugs to inmates in MCC — a blatant threat to the physical and mental health of those who rely on medication. Lawyers have been prevented from visiting their clients at a federal prison in Brooklyn as a result of the shutdown. 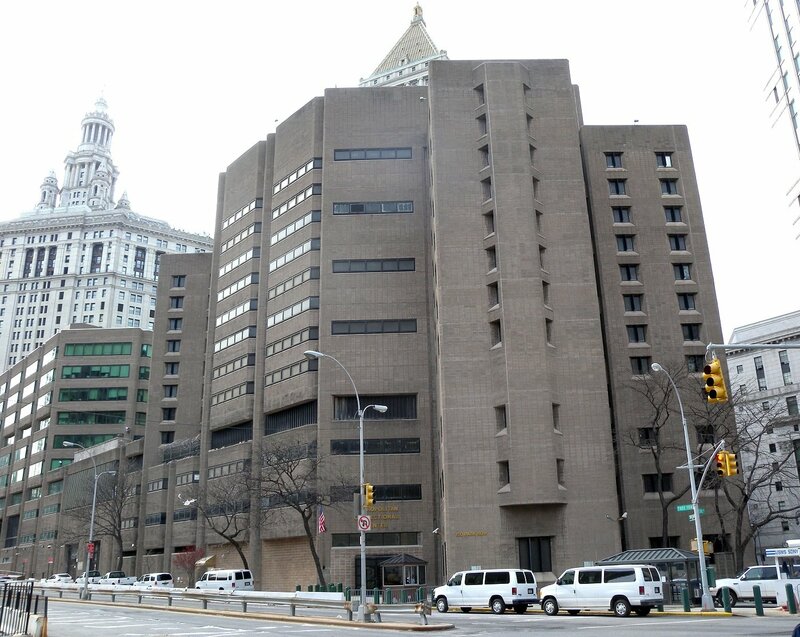 Brooklyn’s Metropolitan Detention Center holds about 1,600 inmates and on seven days this month, attorney visits had been cancelled or delayed for days. This comes months after the largest prison strike in U.S. history ended last September, during which inmates in prisons around the country took part in peaceful sit ins, hunger strikes, and refused to report to assigned jobs. Roughly 2.3 million people are in U.S. jails and prisons. Almost half-a-million people locked up are awaiting trial and haven’t been convicted of any crime, many because they are too poor to afford bail. The United States is the number one jailer on the planet. With only about 5 percent of the world’s total population, it holds 25 percent of prisoners worldwide. Inmates across the country face despicable conditions, such as food not meant for human consumption, notoriously bad healthcare, and mistreatment and abuse from prison staff. The 13th Amendment to the Constitution abolished slavery except as a punishment for a crime. This laid the legal groundwork for the profit-hungry and racist mass incarceration system we see today. It’s our duty to stand in solidarity with prisoners, who represent some of the most poor and oppressed sectors of the working class, and fight for a truly just and humane system. Solidarity with the MCC hunger strike! Free ’em all!